Ashwini Bhat studied ceramics with Ray Meeker at Golden Bridge Pottery, Pondicherry, India. She has a M.A degree in literature and studied classical dance for nearly ten years before working as a professional dancer in the Padmini Chettur Dance Company for four years. Her work has been featured internationally in many galleries and exhibitions. She won the Howard Foundation Fellowship for Sculpture (2013-14). My journey as an artist has been a vigorous interrogation in search of form. My background is in literature, translation and classical dance. Now I gather shapes from the world around me, from travel, and from my journeys through books. I also look inside myself for forms and I translate those into bodies of clay. I hand-build with coils or work through solid clay blocks, scooping clay to create negative spaces. Although trained in wheel throwing, I became a hand-builder by choice. The slowness allows me to internalize forms, intensifying the physical process. I’m passionate about form — mass, volume, material — and tectonics and movement, and my work celebrates the earth from which it’s derived. I want my sculptures to invite viewers to walk around them, to interact with the revealed and the hidden. I find it poignant that even in transformation, as clay turns to stone, the process of making — a fingertip depression, scrape, or dent — remains legible. 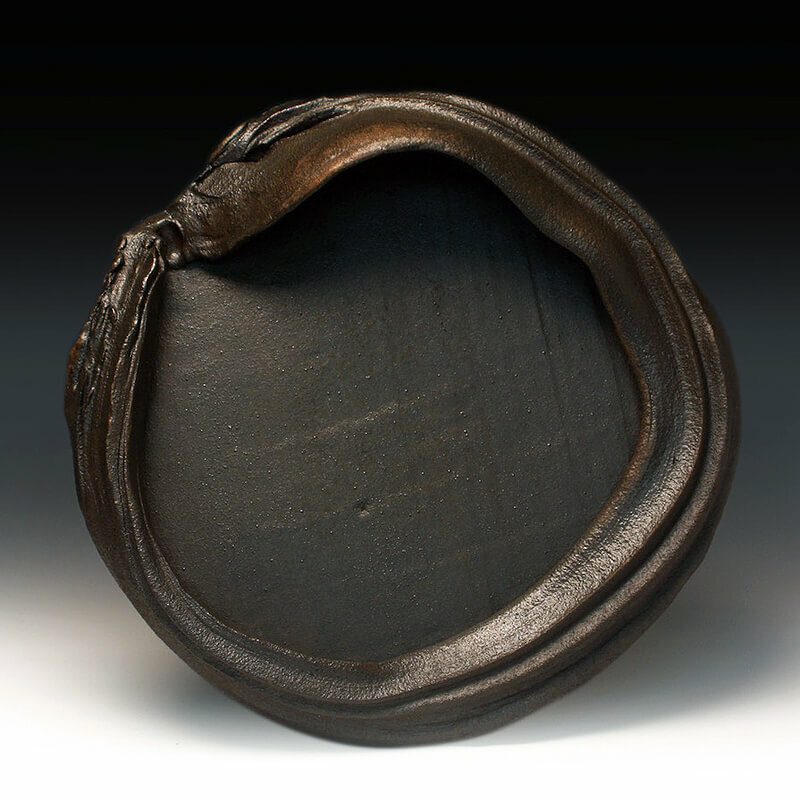 My work isn’t prone to ornamentation; nevertheless, anagama-fired sculptures with natural-ash and gritty surfaces communicate signs of both decay and perseverance. I came from a career in dance to ceramic sculpture with an abiding sense of engagement as motion. In the large-scale ceramic work I’m building, the body of the human viewer is almost necessarily participatory in negotiating an encounter with the art, and both the sculptural and the human body, as they modulate exterior and interior horizons, will emphasize, I hope, their mutuality, their simultaneity and involvement in each other.